Beavercreek Ohio Tow Truck Insurance – Call Now! Are you searching for Tow Truck Insurance in Beavercreek Ohio or the surrounding areas? Then search no more because the specialists at Pathway Insurance are here to help. Pathway Insurance is a leading independent insurance agency with the expertise and experience to help you find top-tier rates and coverage for Tow Truck Insurance in Ohio. Call us today at 1-800-998-0662 to speak with one of our licensed agents. Whether your towing operation is part of a repair garage or it’s a dedicated towing service, Pathway Insurance offers insurance solutions for all kinds of towing situations. 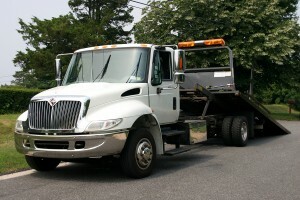 As you’re shopping for Tow Truck Insurance in Ohio pay careful attention to the exclusions of coverage on your policy. Beavercreek Ohio Tow Truck Insurance – Exclusions of Coverage. In case your recollection is fuzzy, exclusions of coverage are specific situations pointed out in the language of an insurance policy for which coverage would not be approved by the insurance company. We’ve looked at the topic of exclusions of coverage several times before, so this week we’re going to look at them from a slightly different angle. In addition to being aware of the exclusions of coverage present in your insurance policy, it is also important to be aware that no two insurance providers’ policies are exactly the same; what’s covered by one policy will not necessarily be covered by the other. Also, as we’ll learn in the upcoming coverage scenario, in some instances the language of your policy will spell out the specific cases in which coverage is provided, meaning that any cause not on that list is excluded. As with any exclusions of coverage question, the advice we give at Pathway Insurance to our policyholders is to read your policy very carefully! You want to know what is and, more importantly, is not covered on your Ohio Tow Truck Insurance policy so you won’t be caught off guard by a claim denial in the future. “Penny Pincher” Perry Plumbucket is the owner of Pretty Perry’s Punctual Towing Emporium. Perry is known as a Penny Pincher for a reason; he saves money and cuts corners where he can. That can often be a good thing, but Perry tends to take it too far, even where safety is concerned. So it should come as no surprise that when choosing an insurance policy for his fleet of tow trucks, Perry Plumbucket chose the cheapest up-front option. His insurance provider offers Comprehensive coverage, which essentially covers damage by any cause, but they also offer something called Specified Causes of Loss Coverage. Specified Causes of Loss Coverage protects your vehicles from damage due to specific causes listed in the policy. Penny Pincher Perry doesn’t bother to read his policy, let alone the list of specified causes. He pays what he owes and gets back to work. We’ll see how that goes for Perry in next week’s article. Tow Truck Insurance Beavercreek Ohio – Call Today! Still have questions about exclusions of coverage? Call the knowledgeable agents at Pathway Insurance today for answers about Ohio Tow Truck Insurance. Call 1-800-998-0662 Monday through Friday 9:00 AM to 5:30 PM (PST). 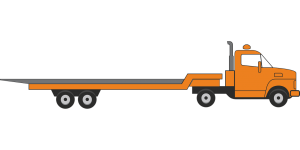 We can shop the market to find better coverage options on Tow Truck Insurance in Beavercreek Ohio for your business.